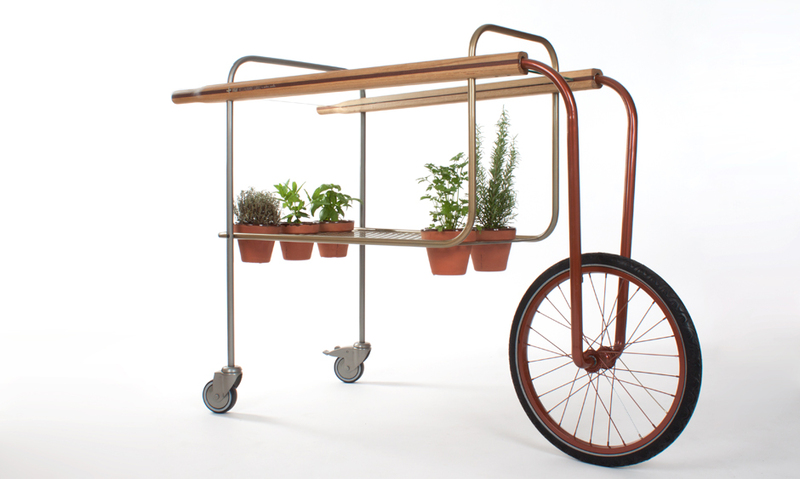 CarRem Carts – Andreu Carulla. 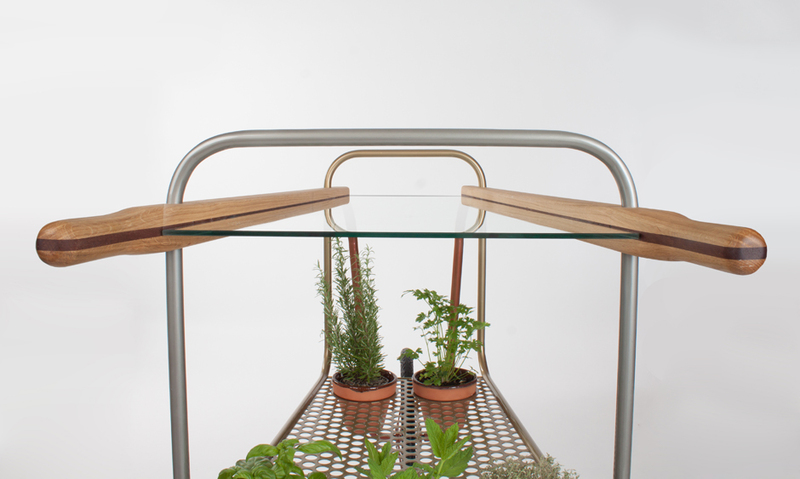 CarRem is a couple of carts designed to hold food, drinks and their seasonings, and belongs to the Retro Sports Furniture collection, together with the Tamborem stool. 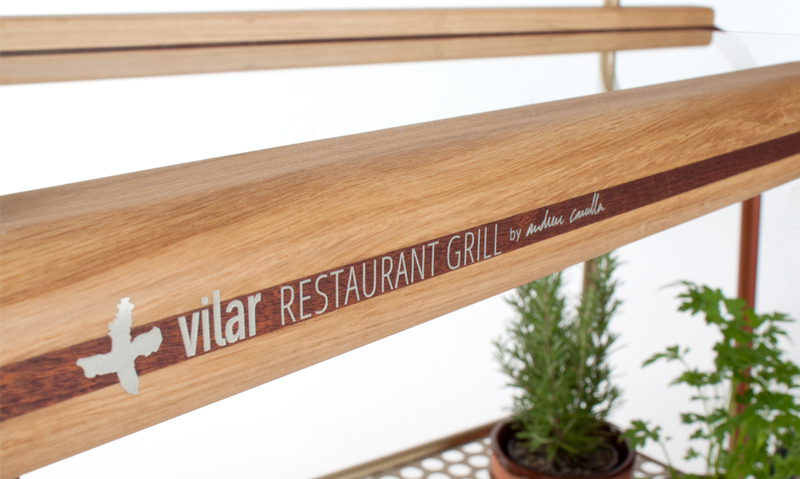 The goal is that restaurant’s guests can choose the herb they prefer right from the plant and enjoy its flavour and aroma in the freshest way possible. 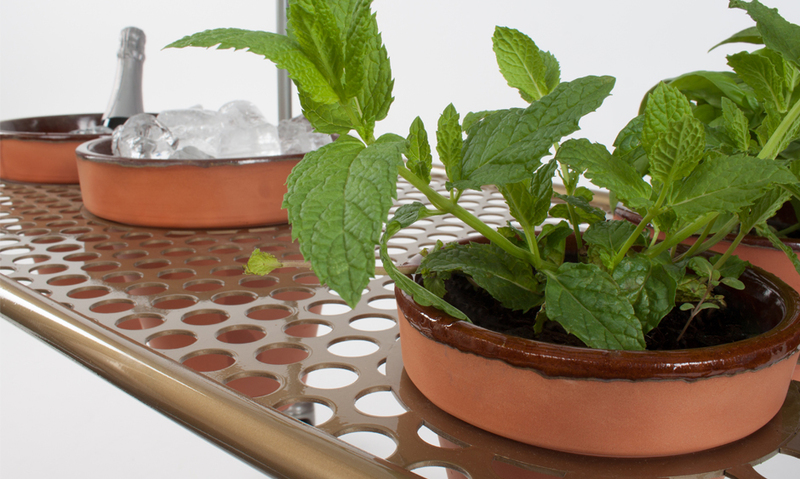 The cocktail model holds a couple of ice buckets as well as two plant pots for different herbs to enrich a drink, whereas the food model holds five plant pots for different aromatic herbs to complement the dishes. With a minimalistic aesthetic, so it has a minor impact on the ambiance, its glass surface leads to a floating sensation of the elements put above. It also provides big mobility thanks to its wheelbarrow structure, so it can be easily handled in small spaces. Its handlebars are made of antique rowing paddles which provide good stability to the whole cart, and its tubes are painted in medal colors (gold, silver and bronze).